According to one little-noticed provision in the bipartisan opioids bill headed to President Donald Trump’s desk for his likely signature, this bill would allow hospice staff to destroy opioid medications that are expired, no longer needed by the patient because of a change in treatment or left over after the patient dies. 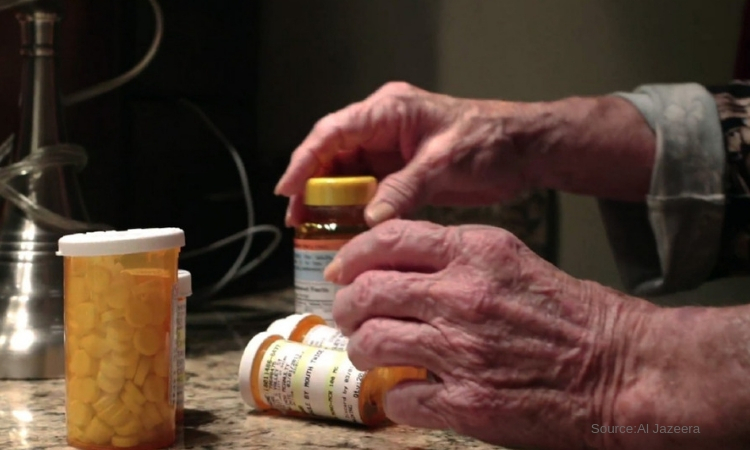 Last August, a Kaiser Health News investigation discovered as people die at home on hospice, the remaining addictive drugs they are prescribed are likely to be stolen by neighbors, relatives, and paid caregivers—contributing to an opioid epidemic that kills an average 115 people a day in the United States. The News Article mentioned a Washington State woman named Sarah B. who began to steal numerous tablets– Norco(hydrocodone), oxycodone, and morphine– that were left on her ill father’s bedside table after he passed away at home on hospice care. The hospice personnel never ever discussed addiction or how to securely get rid of drugs after a person passes away. Hospices have largely been exempted from crackdowns in many states on opioid prescriptions because individuals might require high dosages of opioids as they approach death. About 45 percent of hospice patients get care in a personal house. Under present law, hospices cannot directly destroy patients’ unwanted opioid medications in the home. Rather, they direct households to mix them household items such as kitty litter or coffee grounds prior to throwing them in the garbage. Flushing them down the toilet is considered ecologically unsound. Hospice, available through Medicare to those who are expected to die within six months, sends medication and personnel to care for patients wherever they live. The bill would force hospice to document issues on the disposal of opioid medications and to discuss those policies with families. This would mean that the need for the Government Accountability Office to study hospices’ disposal of controlled substances in clients’ houses would be necessary and expected. The new policy does not specify how it would handle if a household declines to hand over the drugs. By federal law, medications are considered property of the patient or whoever acquires that individual’s property after they pass away. According to the bill, a hospice employee would not require formal written permission from households to dispose of the medications, an NHPCO spokesman, Jon Radulovic, stated, however if a family objects, the worker would have to leave the drugs alone.